We make no secret of the fact here that we are huge fans of Alex Gibney. A regular to the Festival and, checking in with his IMDB stats, a prolific documentarian. He is back at this year's festival with No Stone Unturned, the story of a group of families desperate to get to the bottom of why a suspected UVF gunman came into a rural Irish pub and gunned down six innocent men. Loughinisland isn't exactly a prime target for terrorist activity, even during the Troubles. It's a rural, tightly knit community with none of the walls (mental or physical) that you expect with a sectarian Northern Ireland. Yet in 1994, in the middle of the Irish Republic's most famous World Cup victory, three men drove to the local pub and whilst one waited in the car, another held the door open and the third sprayed the tiny bar with bullets. Six people died and five were injured. The car was found intact, the weapons were also recovered and Special Branch named names internally within 24 hours. Yet twenty odd years later, nobody has even been tried for the crime. Gibney uses the horrific massacre as a jumping off point for a whistle stop tour of the Troubles, whilst continually returning to his attempts to find out who and why at Loughinisland. Given that the movie was withdrawn from Tribeca earlier this year due to 'ongoing legal issues', it's fair to assume that he got pretty close to the truth and that truth got pretty close to the top of the British government. In saying that, it may also be because, unlike some of his interviewees, Gibney does not shy away from naming names once his investigation bears fruit. As always with Gibney, this is a tightly constructed documentary that goes out of its way to be neutral to the subject matter. The director traces back the origins of the Troubles as well as outlining the key players. The further we get into the mystery, the grubbier things get and it's not long before we (and the interviewees) are being faced with some very difficult questions with regards to State collusion with Loyalist groups and just how far you ought to let informants go before the tail begins to wag the dog. Gibney kicks off with interviews with some family members of the murdered men and with some of the survivors. The interviews with the barman, who at fifteen years old was the youngest in the bar by a distance are particularly affecting. He then follows the various legal challenges post the Good Friday agreement that the family have had to go through in order to get the Ombudsman to review the detective work that has led to no convictions. At times this plays out like a mystery movie, at times it feels like this is another case of poor police work. Those thoughts are dispelled though as we dig deeper into the horrible mire that was Northern Irish politics and policing during the early nineties. 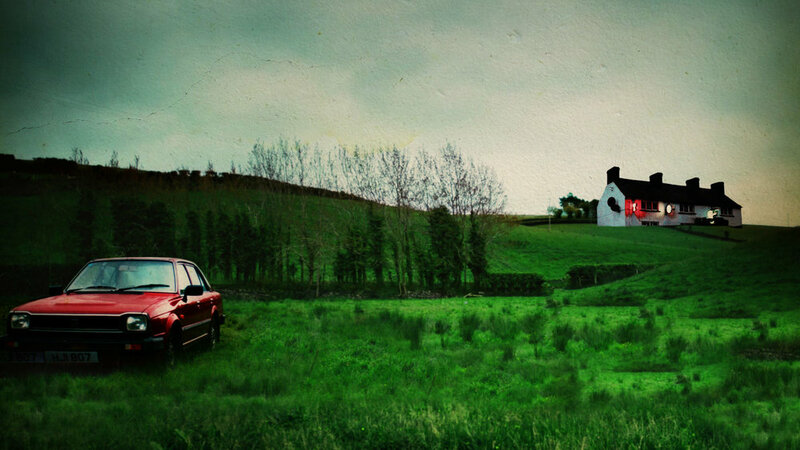 No Stone Unturned is a fascinating, if grim, story that covers the Loughinisland murders from top government all the way down to the families living with the knowledge that as time progresses, there is less and less chance that the perpetrators will be brought to justice. It's a timely reminder of how recent daily horrors were visited on the Irish people, both north and south of the border and with what appears now to be the certainty of the British State's pretty much direct involvement in them.